Adult Essentials B-12 Gummies are essential for your body's metabolism. 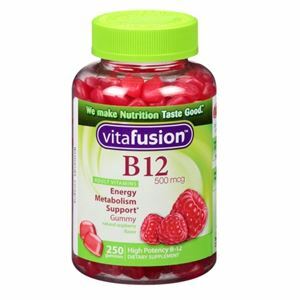 These B-12 Gummies help to metabolize fats, protein and cabohydrates. They also play a major role in the proper functioning of the brain and the nervous system. Made up of 100% natural flavors, these are gluten free and contain no artificial flavors or sweetners. Available as 100 and 220 per pack.